SSCP vs CISSP - Which Certification Is Right For You? 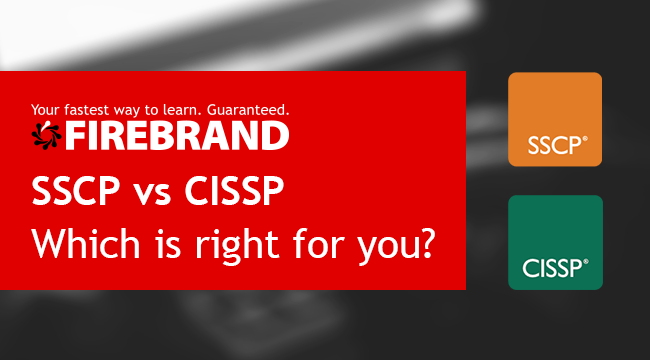 Deciding between the CISSP and SSCP can be confusing. 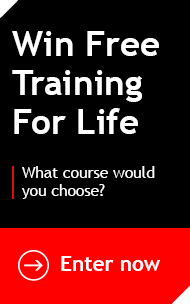 We’re aiming to clarify the difference between the two and help you make the right decision when it comes to achieving your next (ISC)² certification. Who are the certifications aimed at? The CISSP certification is designed for Chief Information Security Officers, Security Managers, Consultants and Analysts, as well as, Directors of Security. In short: information security professionals working in senior managerial security roles. The SSCP is aimed at those who want to build and prove their essential cyber security skills and are currently in a hands-on information security role. The SSCP is a great certification for Network Security Engineers, Security Administrators and Systems Engineers. CISSP training requires a minimum of 5 years of professional experience in the information security field. An endorsement is also required to ensure you meet the course standard. Previous certifications such as CISM, CEH or SEC+ would be a boost. As the SSCP certification is an entry level information security course, only 1 year of experience is required. What Does a CISSP or SSCP do? A CISSP has the potential to work with nationwide or even global management teams, creating security strategies and helping workers to be able to best do their job in implementing those strategies. Because those with an SSCP are well rounded, they are able to adapt to many different day-to-day information security scenarios. An SSCP can expect a great amount of variety because of their skillset. The average salary for a CISSP-certified professional is £62,500 in the UK – increasing to £90,000 for senior roles (ITJobsWatch). Plus, possessing a CISSP certification is often seen as a prerequisite to the C-suite and the Chief Information Officer (CISO) role, which comes alongside an average salary of £105,000 (ITJobsWatch). According to ITJobsWatch, the average salary for an SSCP-certified professional is £55,000. As you might expect, this is lower than the CISSP as the SSCP holds more attainable prerequisites and is, therefore, easier to obtain. Firebrand’s CISSP course takes only 7-days and includes the CISSP exam, which you’ll sit during your stay at the Firebrand Training Centre. Alternatively, the SSCP certification is shorter, taking just 5 days with Firebrand. The SSCP course also includes the official (ISC)2 exam.